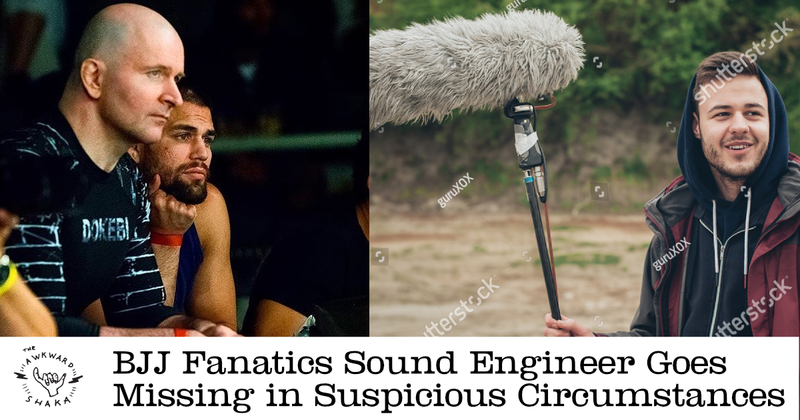 Boston, MA – Chester Festertester, the sound engineer who worked on the ill-fated original John Danaher “Leglocks: Enter the System” instructional has been reported as missing and the circumstances are considered as suspicious. Police say Festertester was expected at the Flip ‘N’ Fry, where he had been employed since the jiu jitsu community ousted him for his terrible work on Lord Danaher’s long-awaited instructional debut, but he had not turned up for his shift. Inspection of his apartment revealed a suitcase and some token underwear missing from his draws, as well as a note, but Festertester’s girlfriend disputes the authenticity of the note. I have to go away for a while. I will be residing in the mountains (yama) of Montana, do not try to locate me because you simply won’t be able to. I shall be gone indefinitely. I am going to survive merely by hunting and foraging. I’d just like to say before I go that my greatest achievement, both personally and professionally, was working with John Danaher on his leglock DVD, even though I completely fucked up the sound recording and it was all my fault and I should probably commit seppuku as a result. PS This note was definitely not written by John Danaher, who I think is a stand-up guy and much better at leg locks than Craig Jones.